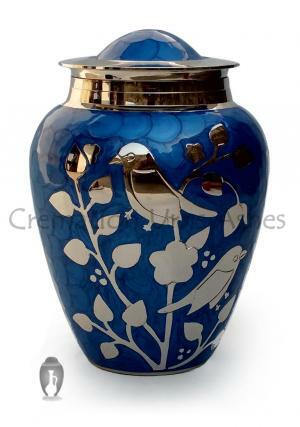 The silver blessing birds adult cremation urn has engraved blessed silver birds, covered in light blue which makes the deceased blessed by the birds. 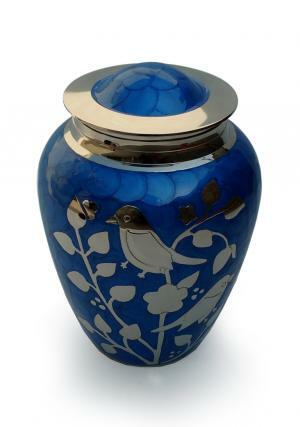 The adult urn is made of highly strong brass metal with hand etched silver bird and stem. 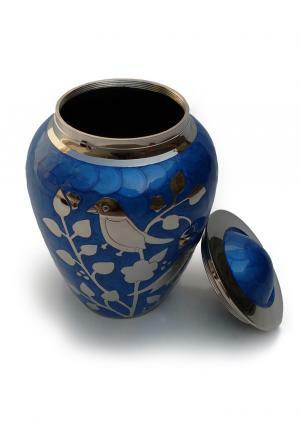 The silver blessing birds adult funeral urn is mounted in blue top lid with silver finish on the neck. 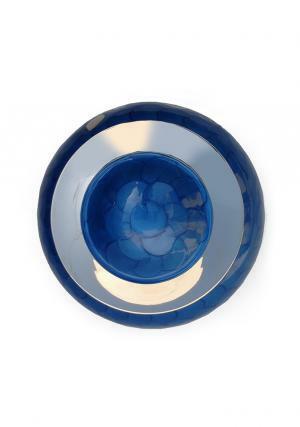 The memories remain in large adult urn in lovable and secured hands. 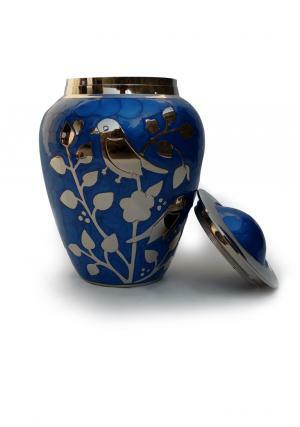 The lid has secured threaded labels used for secure closure of ashes. 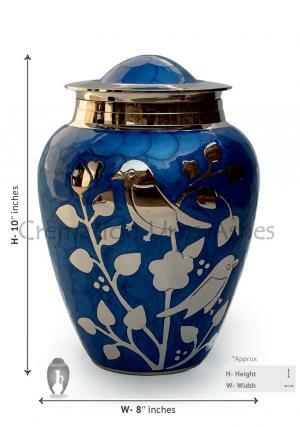 The volume of the big adult ashes urn is 200 cubic inch approximately and measures to weight 2.4 kg, stands 10 inch in height to approximation.